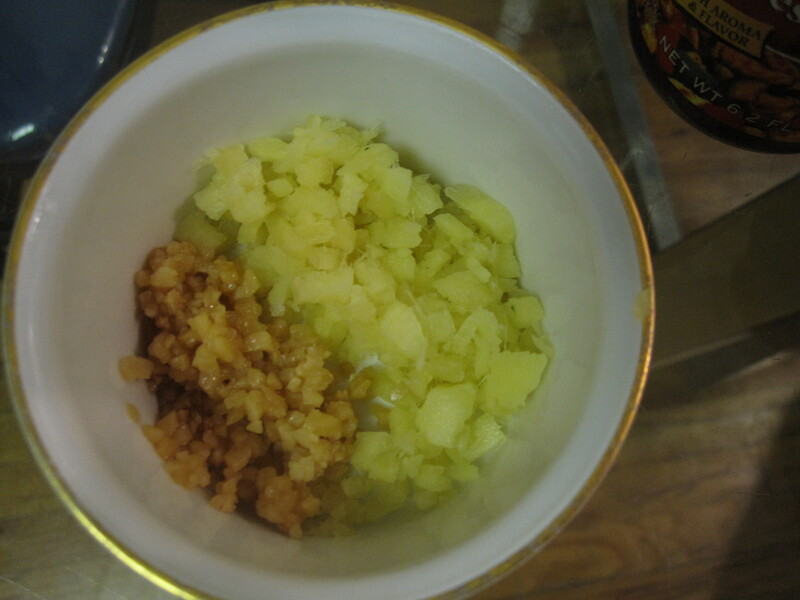 Did you know that certain foods are thought to bring good luck for the New Year? I recently read this article from Good Housekeeping, and was inspired to make some good luck foods this week. The first type of food on the “good luck” list is noodles. Have you noticed that Soba Noodles have been everywhere lately? I was curious why the sudden craze for buckwheat pasta, so I did some research. God I LOVE google. 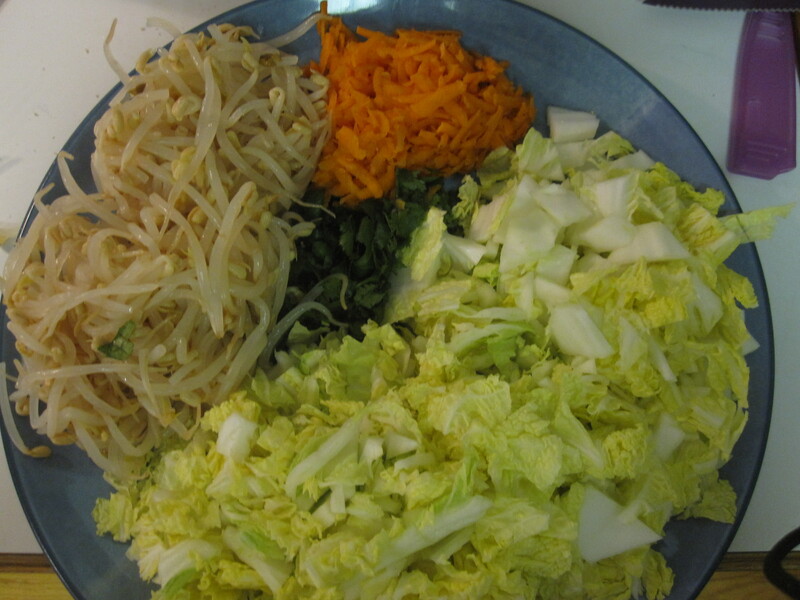 Buckwheat noodles have more protein than rice, B Vitamins, fiber, etc. Check out this article for more info. 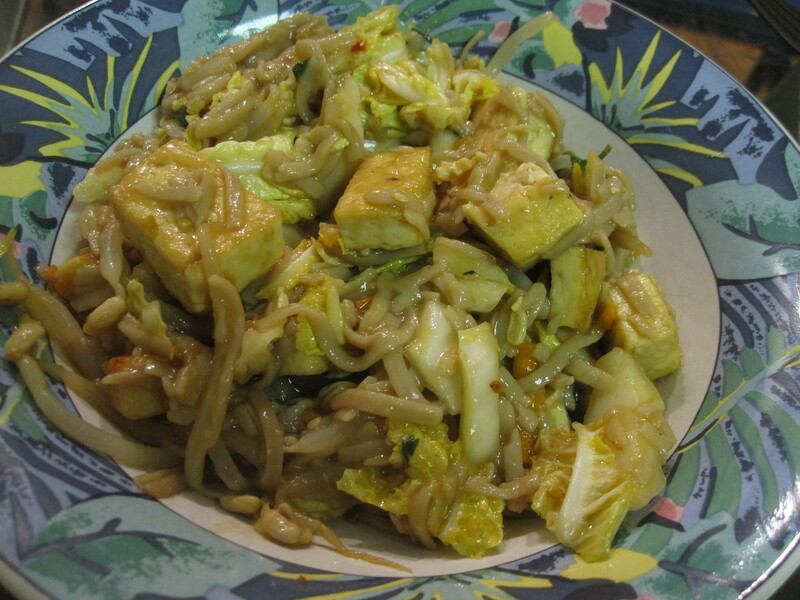 Cabbage was also on the good luck foods list… so this Cooking Light Recipe for Soba Noodles w/ Veggies and Tofu seemed like the perfect choice. We all could use some extra good luck, right? This recipe called for some ingredients that I didn’t already have, but it was so simple. First, I made the dressing. 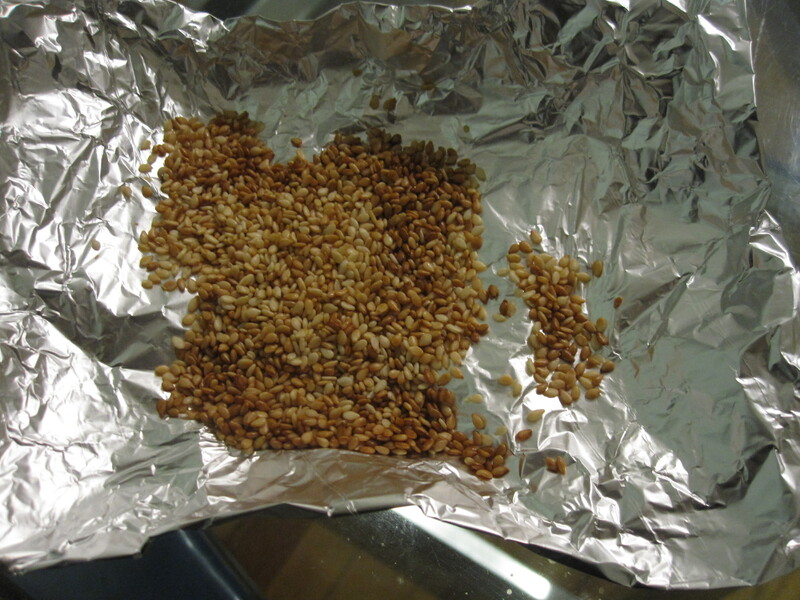 To toast the sesame seeds, I made a little bowl with foil, put the seeds in, and toasted it in our oven for a few minutes. Simple. 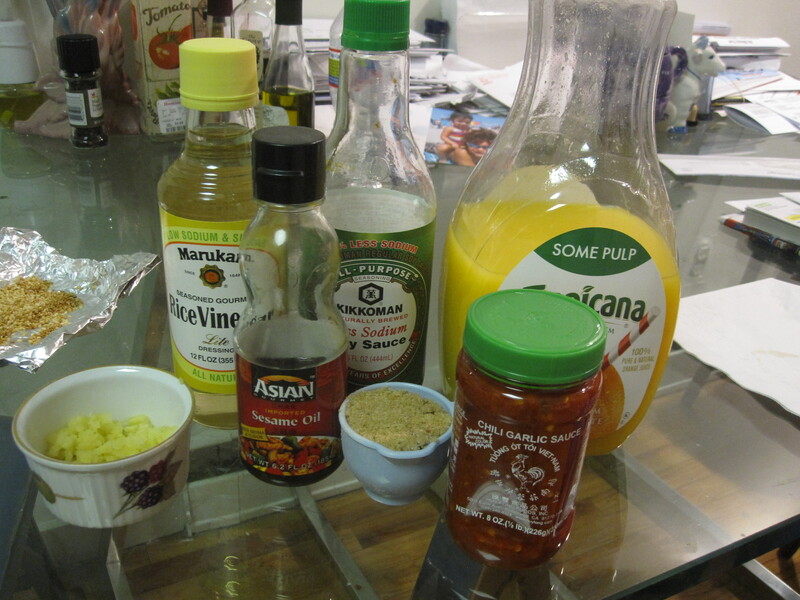 Next, I dumped all of these ingredients into a small bowl and mixed it around with a whisk. Everything's ready to get into the bowl to make some sauce! To make the pasta salad, I first cooked 8oz of buckwheat noodles (SOBA!!) in a pot of boiling water. 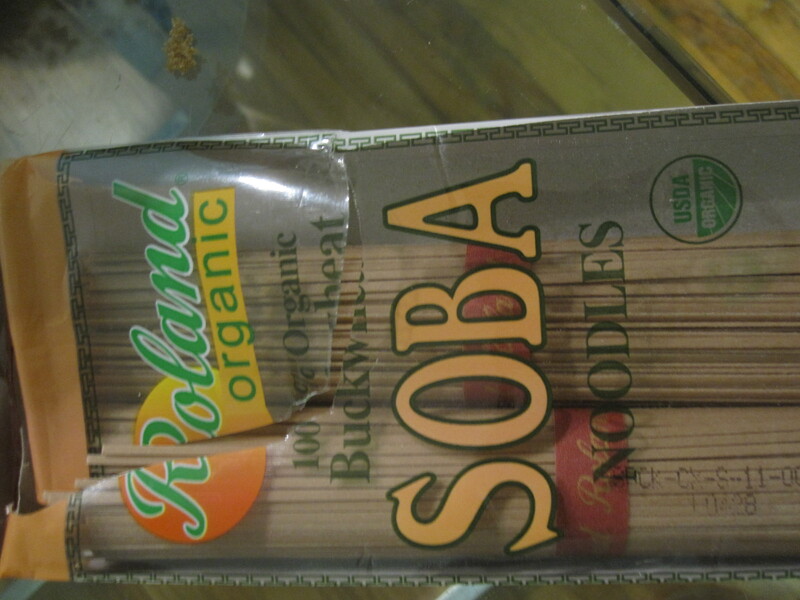 The Soba Noodles that I picked up were in 4 little bundles, so I used two and a half of them. While I was waiting for the water to boil, I shredded my carrots, cut up some cilantro, and sliced theNapa. I followed the directions on the Soba box, but it is very easy: boil water, put noodles in, let them boil then turn down the heat to a simmer for 3 minutes. That’s all! 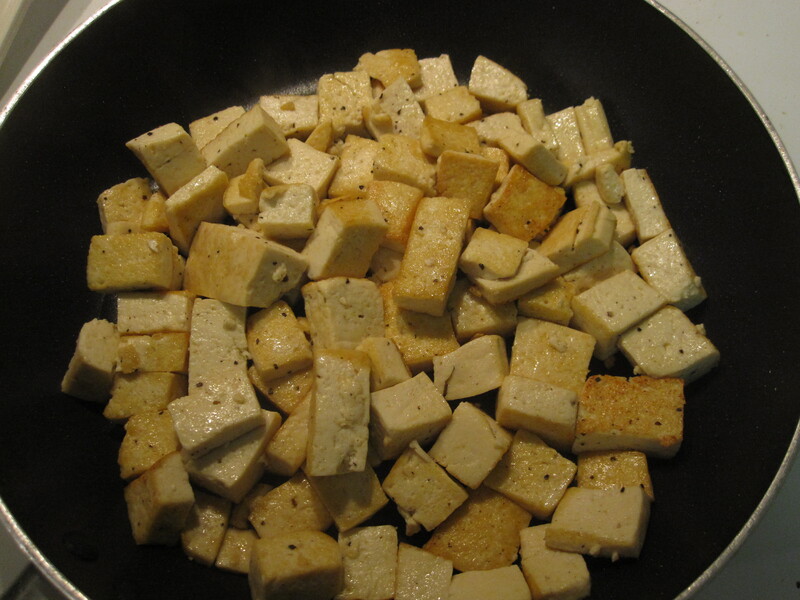 Now, this recipe called for the tofu to just be cut up and put into the mix… but I prefer mine to be warm, so I took about a teaspoon of oil, heated that in a pan, then dumped the cut tofu in with some salt and pepper. I fried this up while the noodles were cooking. It took about 10 minutes to get a nice brown on the tofu. Everything else is ready to get mixed in with the Soba! Once all of these steps were done, I dumped all of the salad ingredients in a huge bowl and stirred in the sauce. There was surprisingly enough to cover everything! The BEST part about this dish is that the serving size is TWO CUPS! That’s a lot for a healthy meal! I really enjoyed this pasta salad, and am interested to see what it tastes like cold tomorrow. I love anything that I can eat TWO CUPS of!! How could I forget to mention that one serving of this delicious pasta has only 336 calories and 7 grams of fat? WOW! Hopefully this simple, healthy dish will bring myself and anyone else who tries it good luck for 2012! !